Lanyon Bowdler has its own Court of Protection department, but we appreciate that not all law firms do. As such, our team can support solicitors from other firms who are assisting clients in Court of Protection matters. We can take instructions to provide expert witness statements about the likely costs and disbursements arising in a professional deputyship, and we can advise on all aspects of the professional deputy role. The specialist Court of Protection Solicitors at Lanyon Bowdler have years of experience of acting as deputies for people who have acquired a brain injury which has resulted in mental impairment. In these types of cases it is common for a solicitor to be appointed as a financial deputy because the Court of Protection is unlikely to appoint a family member due to the potential for financial conflict. The team is among the few in the area to have managed numerous multi-million pound award cases, and the additional work to manage them on an annual basis - such as reviews of the deputy’s security, gifts, statutory wills, property purchase or adaptations, items of substantial expenditure, and the employment of case management, therapists and care workers. So the Court of Protection team here at Lanyon Bowdler have become experts at knowing how much the process will cost pre and post settlement, which is a fundamental head of loss in a brain injury claim when the person lacks capacity to manage their own affairs. 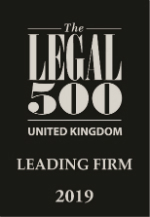 Lanyon Bowdler also has very experienced Personal Injury and Clinical Negligence departments, which are ranked among the best in the area in the Legal 500 and Chambers, and are on hand to assist when appropriate. For more information and an informal chat about how we can help, please call the Head of Court of Protection, Neil Davies.